It’s been so dreary here, rain and an occasional ray of sunshine will shine through the wondering clouds with hopes of spring to finally arrive. 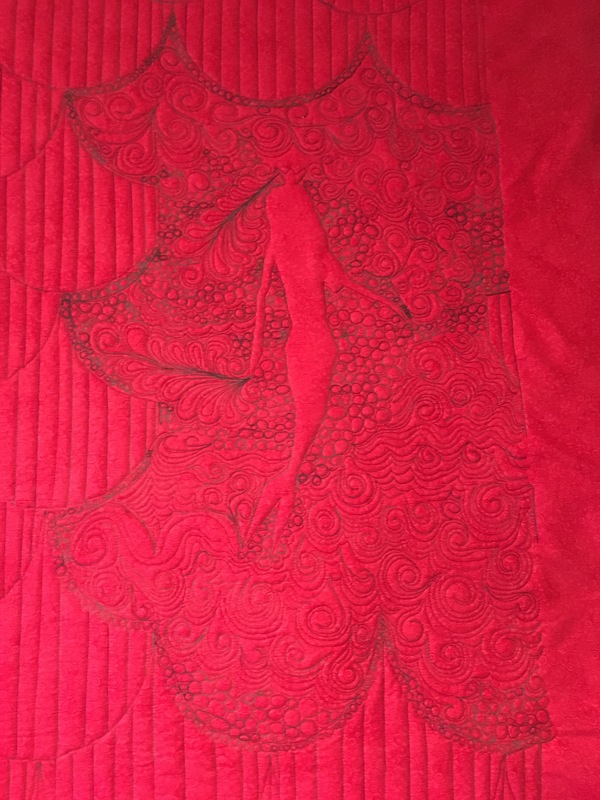 In the meantime I received a beautiful quilt from a friend on Instagram to quilt, this beauty is quite spectacular, with free floating mermaids and and an abundance of clam shells that remind me of a beautiful mermaid tail. 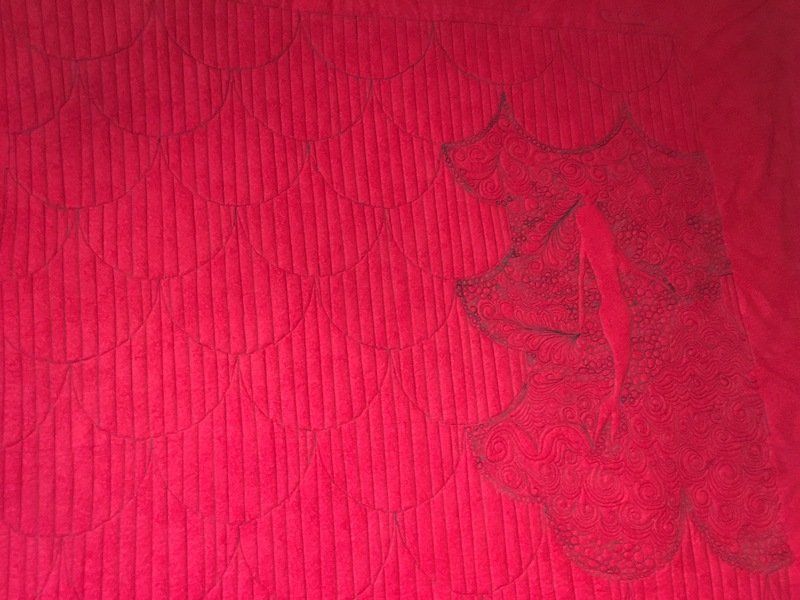 The vivid colors make me want to pack my bags and visit the ocean! 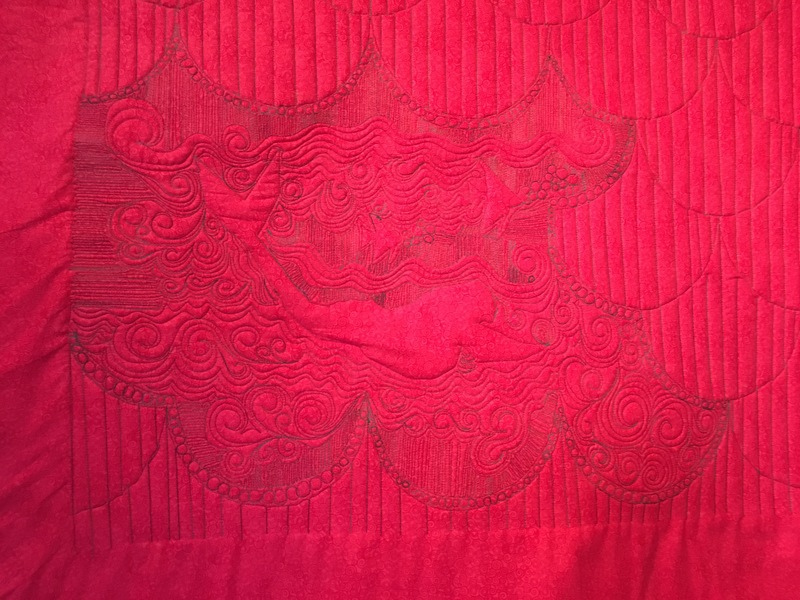 So the designs that I chose for this quilt where a combination of many quilting elements. 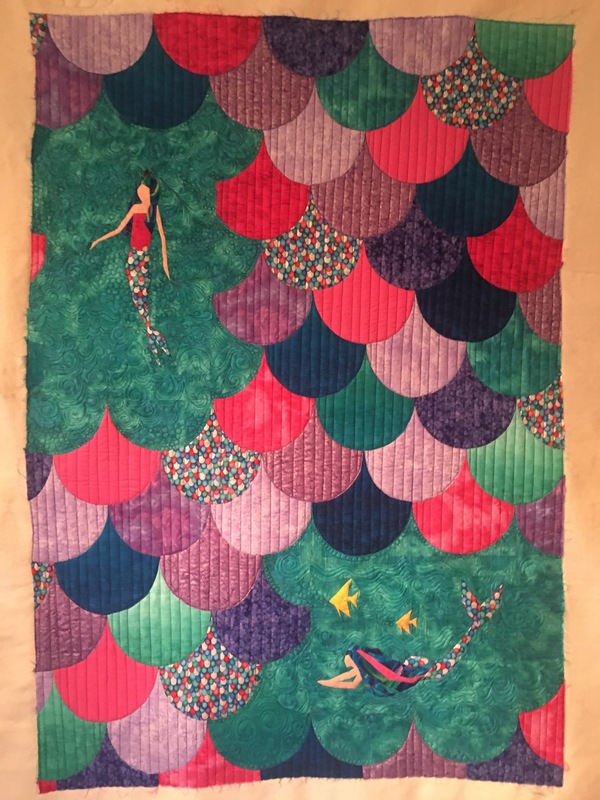 I wanted this special quilt to really pop and the mermaids and fish to stand out! 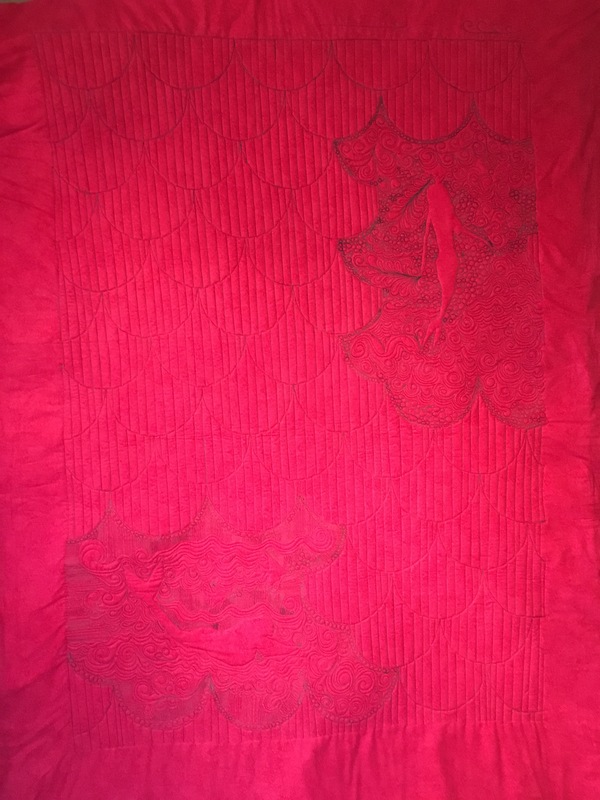 So I used straight line quilting in the clam shells and free hand quilted around the curves, finishing the clamshells with straight lines. 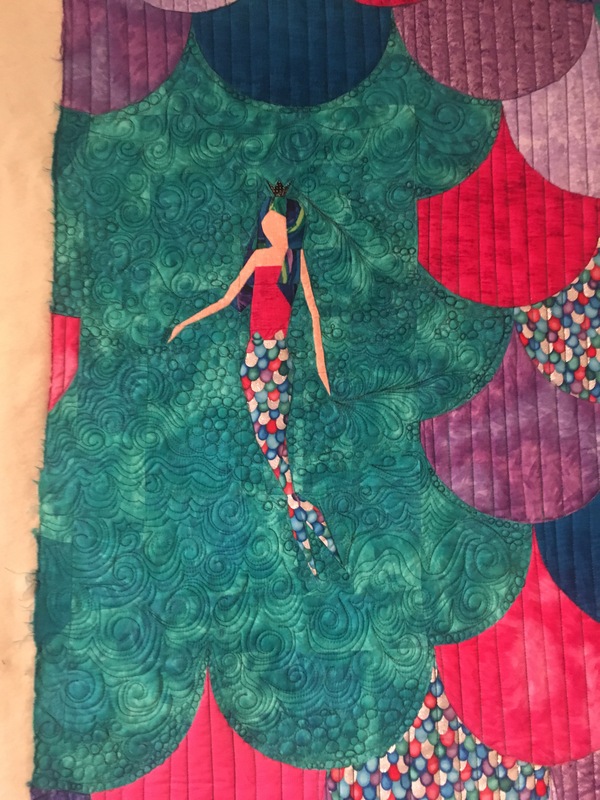 In the negative space I chose to add elements of the sea along with a few feathers as accents to the mermaids hair, along with swirls of the lapping waves. 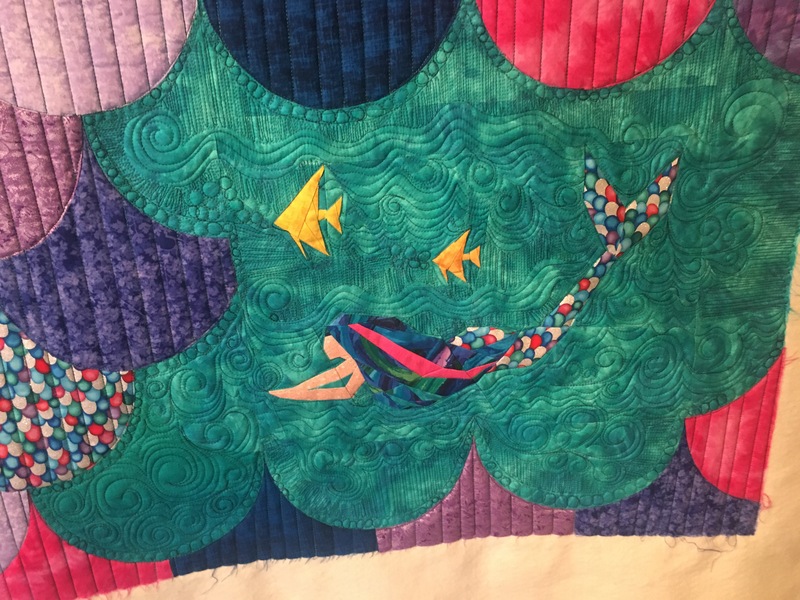 Paired with pebbling and caressing free floating waves with a zig zag in the bottom right mermaid it turned out awesome I really loved the opportunity to quilt this quilt. I hope you enjoy the pictures I wish I would have gotten better pictures to accent the areas better but the weather has not been in my favor lately and this beauty is packed and ready to go home!